There are cases wherein the network’s IP segment is different from the WAG54G’s default IP segment. In cases like this the Game Adapter’s IP address needs to be changed to avoid IP conflict between the network and the WGA54G. 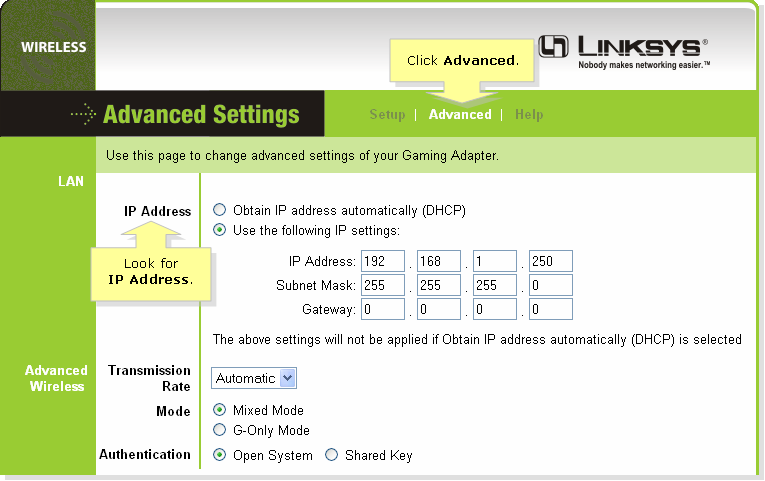 When the Game Adapter’s web-based setup page appears, click Advanced then look for IP Address. 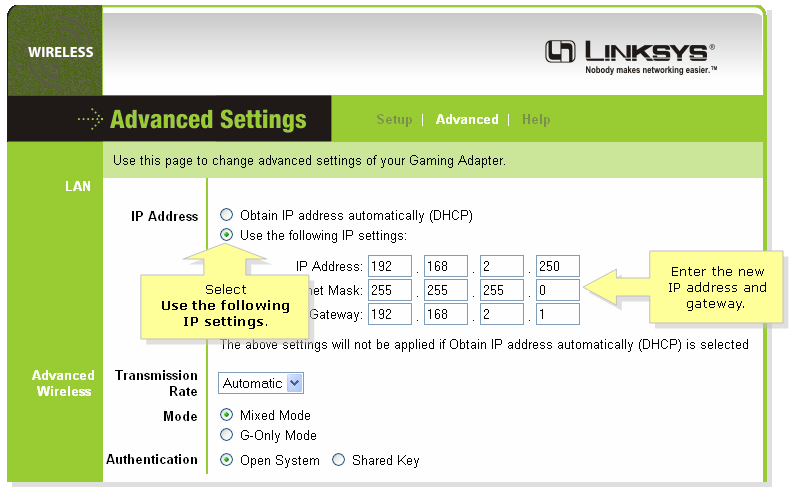 Select Use the following IP settings and change the IP address and make sure that the gateway is the router’s IP address. NOTE: In this example, “192.168.2.250” was used for the IP address and “192.168.2.1” was used for gateway.